I have to get as close to the bare truth [of experience] as I can. about emotion and about human nature. . . . If you haven't watched this Bill Moyers interview* with award-winning writer Louise Erdrich, you owe yourself the approximately 33 minutes the discussion takes. In addition to talking about her artistic life and her books, most of which I have read with much pleasure, Erdrich eloquently speaks about her sense of identity and her Native American (Ojibwe) heritage and its importance in her life and the lives of her children. She has some profound and moving things to say. She also reads from some of her works. Erdrich is the author of the novels The Round House, The Antelope Wife, and Shadow Tag, as well as 10 other novels and numerous children's books, volumes of short stories, a memoir, and poetry collections, among the latter Baptism of Desire. Erdrich lives in Minnesota and owns the independent Minneapolis bookstore Birchbark Books. Bill Moyers Journal: Louise Erdrich from BillMoyers.com on Vimeo. as an event of nature itself. . . I'm not representing anything. to happen in paint over a certain type of structure. . . .
Self-described Expressionist James Lavadour, a Walla Walla with a deep understanding of art's value as a transformative tool, co-founded the nonprofit Crow's Shadow Institute of the Arts on the Umatilla Indian Reservation in Pendleton in eastern Oregon (see my post about Crow's Shadow here). He currently is president of the institute's board, having returned after a period away to concentrate on his career. In addition to vivid landscapes, Lavadour has worked for many years on series of monochromatic abstract paintings ("interiors"); most recently, he has brought the two together, dripping or scrapping the paint and layering it in ways that seem both to build and take away. His brushstroke is beautifully fluid and gestural, yet also textured and nuanced, I would say even spiritual in how it appears to effect a perception of time and its passage. Well-known especially in the Pacific Northwest (he exhibits often in Seattle, Washington, and Portland, Oregon, but also has had shows at the National Museum of the American Indian in Washington, D.C., and in New York City), the down-to-earth Lavadour was the subject in 2000 of an introductory Oregon Art Beat profile (see below); in addition to talking about his artistic process, Lavadour addresses the question of what a painting is for him and how place and nature inform his vision. Watch Painter James Lavadour on PBS. See more from KOPB. In 2009, Oregon Art Beat revisited Lavadour, who, in this video, addresses his engagement with the land and how it inspires him. Art, he says, "is nothing more than the transfiguration of nature". He is a passionate art-maker who becomes delightedly excited about what he discovers from his own work. James Lavadour at PDX from Sam Beebe on Vimeo. Also see the informative 2008 video James Lavadour: The Properties of Paint, about his exhibition at Halie Ford Museum at Williamette University. Work by Lavadour is in numerous corporate, private, and public collections, including those of Boise Art Museum, Heard Museum, Portland Art Museum, Tacoma Art Museum, Microsoft Corp., Hilton Corp., Federal Reserve Bank of San Francisco, and U.S. Department of the Interior Indian Arts and Crafts Board. He work also has been presented in the U.S. Department of State's Art in Embassies program. His beautiful prints are available at Crow's Shadow and his paintings may be obtained through the galleries that represent him (several are noted below). Lavadour, who received no formal art training or education, is a recipient of an Eiteljorg Fellowship for Native American Fine Art, a Joan Mitchell Award from the Joan Mitchell Foundation, and numerous other honors. it dries a weak brown hue. climate zone so far north. me, wants nothing to survive. What it needs it claims its own. Frank X Walker was appointed in February to be Kentucky's Poet Laureate for 2013-2104, the first African-American to be named to the state's two-year post and, at 51, the youngest. He will be inducted formally on Kentucky Writers' Day on April 24, 2013. A co-founder of the Affrilachian Poets collective, the highly accomplished poet, who travels widely giving lectures, leading workshops, reading poetry, and exhibiting, succeeds Maureen Morehead (see my post about Morehead here). Commenting on his prospective plans as Poet Laureate, Walker indicates that in addition to promoting poetry and other literary arts generally, giving readings, and taking part in various arts-related conferences, he will be advocating on behalf of required coursework on Kentucky writers, beginning in elementary school and extending to college. Information about Kentucky's Poet Laureate position is included in my post about Gurney Norman, who served in 2009-2010. (An aside: Walker took a class with Gurney at the University of Kentucky and says Gurney influenced his decision to become a writer.) Go here for a list of Kentucky's past Poets Laureate. Frank X Walker will publish this May his sixth collection of poetry, Turn Me Loose: The Unghosting of Medgar Evers (University of Georgia Press, 2013). He is the author of Isaac Murphy: I Dedicate This Ride (Old Cove Press, 2010), about African-American jockey Isaac Burns Murphy (1861-1896), who was the first to win the Kentucky Derby three times; When Winter Come: the Ascension of York (University Press of Kentucky, 2008), a re-imagining of the Lewis and Clark expedition and the sequel to Buffalo Dance; Black Box: Poems (Old Cove Press, 2005), which tells about Walker's childhood and home; Buffalo Dance: the Journey of York: Poems (Kentucky Voices, University Press of Kentucky, 2003), about York, an African-American slave and the personal servant to explorer William Clark; and Affrilachia: Poems (Old Cove Press, 2000; now in at least its eighth printing), 68 poems about Walker's experience growing up as African-American in the Appalachian south. His Buffalo Dance won the Lillian Smith Book Award in 2004; Affrilachia was nominated for a Kentucky Public Librarians' Choice Award. Walker, who is also a playwright, visual and performance artist, and activist, is the editor and publisher of PLUCK! the Journal of Affrilachian Arts & Culture. (The term "Affrilachian", whose coining is credited to Walker, is defined here. Also see the Coal Black Voices site.) Publications Walker has edited include America! What's My Name? The "Other Poets" Unfurl the Flag (Wind Publications, 2007) and Eclipsing a Nappy New Millennium (Haraka Press, 1998; available through resellers). Walker has a particular talent for persona poems. His York series (Buffalo Dance and its sequel When Winter Come) are notable for how beautifully Walker captures York's and other narrators' voices, those of both men and women he writes about. Similarly, in Isaac Murphy, Walker takes on multiple voices (Isaac Murphy, his wife Lucy, his mentor, his parents) to advance his story and help us understand how the son of a slave could achieve international fame in thoroughbred racing. His forthcoming collection about Mississippi civil rights activist Medgar Evers (1925-1963) includes poems told in the voices of Byron de la Beckwith, Evers's murderer; de la Beckwith's wife Thelma; Evers's widow Myrlie; and even the bullet that felled Evers. Walker's extraordinary poems also are marked by sharp characterization, an eye for apt historical detail, and a deep feeling and appreciation especially for the black experience throughout American history and the want both of and for forgiveness and reconciliation. or onion skin, the way Massa do. this side a the big river. Massa make this ugly too. to feed his family. . . .
that a bullet couldn't quit. Read as many poems by Walker as you can. His is an important and eloquent voice. Poems by Walker have appeared in numerous literary magazines and periodicals, including Appalachian Heritage, Indiana Review, Kudzu, Louisville Review, MiPOesias, Rattle, The Shooting Star Review, and Verse Wisconsin. Walker's work has been anthologized in, among other publications, The Appalachian Journal, Black Nature: Four Centuries of African American Nature Poetry (University of Georgia Press, 2009), Cornbread Nation 3: Foods of the Mountain South (University of North Carolina Press, 2008), Mischief, Caprice & Other Poetic Strategies (Red Hen Press, 2004), The Kentucky Anthology: Two Hundred Years of Writing in the Bluegrass (University Press of Kentucky, 2005), A Kentucky Christmas (University Press of Kentucky, 2012), Role Call: A Generational Anthology of Social and Political Black Literature and Art (Third World Press, 2002; available through resellers), The Ringing Ear: Black Poets Lean South (University of Georgia Press, 2007), Spirit and Flame: An Anthology of Contemporary African American Poets (Syracuse University Press, 1997; available through resellers), and What Comes Down to Us: 25 Contemporary Poets (University Press of Kentucky, 2009). Walker established the Faith A. Smith Poetry Prize in honor of his mother. Associate professor of English at the University of Kentucky and also director of African American and Africana Studies, Walker is the recipient of an Appalachian Heritage Literary Award from West Virginia Humanities Council (2013), a Lannan Literary Fellowship in Poetry (2005), a Thomas D. Clark Literary Award for Excellence (2006), a Cave Canem Fellowship, and an Al Smith Individual Artist Fellowship from the Kentucky Arts Council. He was named in 2011 to the Oxford American's list of "The Most Creative Teachers in the South". He holds an honorary Doctorate of Humanities from the University of Kentucky (2001) and an honorary Doctor of Letters degree from Transylvania University (2002). In addition, Walker has been honored with the Kentucky Conference for Community and Justice - Lauren K. Weinberg Humanitarian Award (2011; video here). Frank X Walker Columns for ACE Magazine: "I Dare You to Dream", "Love and (UK) Baseball", "Kentucky's 'Criminal Mischief'", "Luxury Items", MY Old Kentucky Home"
Collecting pebbles for a new mosaic of a world that I could love. ✦ Yale University Press has published The Cloisters: Medieval Art and Architecture. 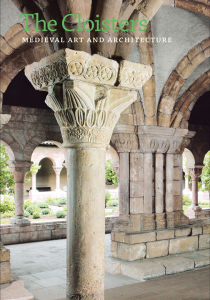 Newly revised by Peter Barnet and Nancy Wu, with an expanded guide to the collection, the book traces the history of The Cloisters, offering a detailed story of how the museum's collection came came to be housed within Fort Tryon Park in northern Manhattan. ✦ A show of paintings on paper by New York City-based Sharon Horvath concluded last month at The Drawing Room in East Hampton. Images of some of the artist's more recent work are here and here. A 12-page catalogue of the 2012-13 exhibition is here (pdf). Take a look! Horvath's use of powdered pigments, ink, and polymer on paper mounted on canvas produces vivid, saturated colors that give her work an exotic feel that is at once beautiful and distinctive. You'll find here a 2011 video interview (20:19 minutes) with Horvath, who is an associate professor at Purchase College/SUNY. ✦ New York-based artist Marilyn Henrion last July founded The Soho Bookie to facilitate the publishing of exhibition catalogues and art-related books. Henrion's services include designing and formatting. To date, she has helped published single-show publications as well as a 190-page book of drawings and poems. ✦ Earlier this winter, the Museum of Contemporary Art, Los Angeles, posted on its blog Framework, which documents a dance-art collaboration between artist Mark Bradford of Los Angeles and choreographer Benjamin Millepied. The collaboration, comprising two 30-minute site-specific duets, was performed in MOCA galleries last summer. Watch Framework here. ✦ James Turrell's site-specific Twilight Epiphany Skyspace opened to the public last June on the Rice University campus. The video below highlights the extraordinary experiential work of art, which was five years in the making. A press release described it thus: "Towering above a 12-foot-high grass berm just east of Rice's Shepherd School of Music, the pyramid-like work of art will provide two light shows each day — one at sunrise and one at sunset — in conjunction with the arc of the sun. Visitors seated on the skyspace's lower and upper viewing areas will gaze up at the 72-by-72-foot white roof, which offers a view of the sky through a 14-by-14-foot opening. Lights projected on the ceiling will change colors as the sun rises and sets, and these will impact the color of the sky as seen by visitors." Reservations are required for the sunset light sequences; visitor information is here. This summer, Turrell will have his first show in a New York museum since 1980; his exhibition opens June 21 at the Guggenheim and will run through September 25. ✭ Maine's Portland Museum of Art opened "Voices of Design: 25 Years of Architalx" on February 2. The interactive exhibition, which continues through May 19, celebrates voice, text, and images from talks presented by leading architects and designers as part of Architalx's lecture series. Featured is a 17-foot-high tower, Voices of Design (installation views), displaying three levels of images alternately appearing and disappearing. Architectural themes ecompass nature, place, expression, material, process, responsibility, light, structure, space, craft, optimism, and culture. More about the exhibition is here. Architalx is a nonprofit volunteer organization that provides educational programs in architecture and design to Greater Portland and throughout Maine. ✭ Four dozen masterpieces, including portraits and landscapes, from the collection of Edward Cecil Guinness (1847-1927), 1st Earl of Iveagh — known as the Iveagh Bequest to Great Britain — are on view in "Rembrandt, Van Dyck, Gainsborough: The Treasures of Kenwood House, London" at Seattle Art Museum (the artworks already have been on view at Museum of Fine Arts/Houston and Milwaukee Art Museum; the last U.S. venue will be Arkansas Arts Center in June). The exhibition, continuing through May 19, includes Rembrandt's late Portrait of the Artist (c. 1665), which, according to SAM, has never before left Europe. A catalogue accompanies the show, which also includes works by Frans Hals, Joshua Reynolds, and J.M.W. Turner. ✭ Work by the "mindful minimalist" fine art photographer Suzanne Rose, who is known for her black-and-white images, is on view through April 10 in "Suzanne Rose - A Deepening Vision" at the Museum of Wisconsin Art on the Lake at Saint John's. Featured are selections from her recent portfolios; the primary focus of the show is Rose's transition to digital photography. ✭ Continuing through April 28 at Chazen Museum of Art at the University of Wisconsin/Madison is "1934: A New Deal for Artists", comprising 56 paintings from the federal Public Works of Art Project in the collections of Washington, D.C.'s Smithsonian American Art Museum. The touring exhibition celebrates the 75th anniversary of the PWAP. For numerous resources, including an exhibition slide show, visit SAAM's Website. ✭ On view at the Los Angeles Museum of Contemporary Art are 23 images selected from more than 500 photographs in Jason Schmidt's ongoing project Artists. Continuing through March 18, the exhibition "Some Los Angeles Artists" represents artists working in the fields of painting, video, sculpture, performance, and installation. Schmidt has photographed each in his or her studio or gallery, or in another context significant to the artist's work. Among the LA artists are John Baldessari, Liz Larner, Raymond Pettibon, Jason Rhodes, and Ed Ruscha. See a half-dozen of the images here. Jason Schmidt's Artists 2000-2006 (Edition 7L, 2007) is available through resellers. and give a show as somebody. . . as an artist. 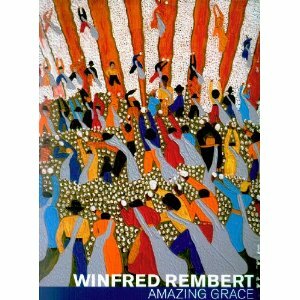 Self-taught African-American artist Winfred Rembert, born in 1945 in southwestern Georgia and given away at birth, is the subject of director Vivian Ducat's first feature-length documentary All Me: The Life & Times of Winfred Rembert. Tracing the remarkable story of how one man overcame racial discrimination and injustice in the segregated Deep South to, as Rembert says, "be somebody", the film, released in 2011, unveils Rembert's memories through the art he used to transform his pain and share his joy. Rembert's is an unlikely artistic career path. As a child, he labored in the peanut and cotton fields of Georgia and he grew up largely unschooled. He took part at age 19 in a civil rights demonstration in Cuthbert, Georgia, and subsequently was arrested and imprisoned, though he was never charged formally with a crime and was never given a trial. He managed by some "amazing grace" to survive an attempted lynching before being jailed, his seven-year prison term including time on a chain gang. In 1995, some years after being released from prison, where he had been introduced to leather crafts, Rembert set up a studio in his home and began to carve, tool, and dye images on the leather he hand-prepared. His wonderfully colorful artwork took as its subjects his experiences of African-American life, not only the harshness of field work in Cuthbert and the brutality meted out to men on chain gangs, but also singing in church and dancing in juke joints, listening to jazz and playing pool. 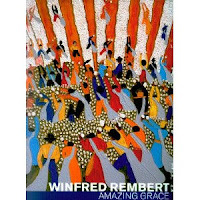 In 2000, work by Rembert, who resides in New Haven, Connecticut, was paired with linocuts by Hale Woodruff in an exhibit, "Southern Exposure: Works by Winfred Rembert", at Yale University Art Gallery, and one of Rembert's works, a triptych of a lynching, entered Yale's permanent collection. (His work can be found in other public and private collections as well, including that of the Richard M. Ross Art Museum at Ohio Wesleyan University.) Ten years later, New York City's Adelson Galleries, in association with Peter Tillou Works of Art, Litchfield, Connecticut, gave Rembert a solo show (information about Winfred Rembert: Memories of My Youth, show catalogue, here and here). Three clips from the film may be viewed here. The moving, award-winning film continues to be screened around the country; this year, it has been seen at such venues as The Brattle Theatre in Cambridge, Massachusetts; Flint Institute of Arts, Flint, Michigan; and Adelson Galleries Boston. Since 2011, the documentary has been shown at numerous film festivals, including Hamptons International Film Festival, where it premiered, Chicago International Film Festival, Atlanta Film Festival, Women's International Film & Arts Festival, New Orleans Film Festival, and Newark Black Film Festival. In addition, it has been screened at the Albany Civil Rights Institute's 50th anniversary celebration of the civil rights movement in Albany, Georgia; and at the Museum of the African Diaspora in San Francisco, California, Yale University Art Gallery, Herbert Von King Cultural Arts Center in New York City, and Kinz + Tillou Fine Art at the Outsider Art Fair held earlier this year in New York City. Today's Wednesday Wonder is artist Norma Gatto. In the "Chicago Tonight" video below, Gatto talks about the creation of her "glass mosaic masterpiece", which happens to be her amazing home. Below is a slideshow of Gatto's artwork, which also is featured in Handmade Blooms: The Floral Art of Norma Gatto. My thanks to PBS NewsHour Art Beat, where I first learned about Gatto. This poem was inspired by the line "Only with kisses and red poppies can I love you" from Pablo Neruda's "Ode With a Lament" in The Essential Neruda: Selected Poems (Bilingual Edition), edited by Mark Eisner (City Lights Books, 2004). The line is among others of Neruda's quoted in Word Candy, a quotation- and photo-based app from T.S. Poetry Press. Online, the poem is found here and here, among other sites. For an interesting interview with Neruda, go here. about my creative work. . . . 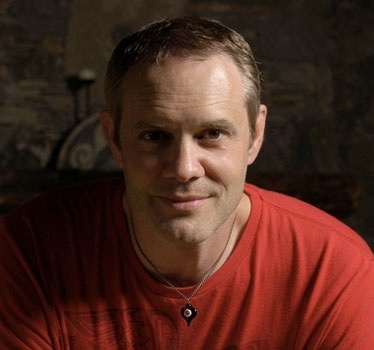 The position of Oklahoma State Poet Laureate is filled by Nathan Brown, who succeeded Eddie Wilcoxen and will serve through December 31, 2014. Brown, who, in addition to being an award-winning poet, is a singer-songwriter and photographer, currently maintains a full schedule of poetry readings, musical performances, writing and creativity workshops, speaking engagements, and teaching seminars (see the Events section of his Website), judges writing competitions, participates in photography exhibitions, and makes public appearances around the state. As Poet Laureate, he intends to meet and reconnect with the "vibrant community" of artists throughout the state. Information about the state position and related resources may be found in my post about Wilcoxen and my earlier post about James Barnes, who preceded him.
. . . I am after a good story. . . . Award-winning, widely traveled narrative poet Nathan Brown, Ph.D., is the author of more than a half-dozen books (available, along with his CDs, on his Website). His most recent collections are Karma Crisis: New and Selected Poems (Mezcalita Press, 2012), which gathers a selection from three of Brown's earlier books, Ashes Over the Southwest (2005), Suffer the Little Voices (Greystone Press, 2005), and the out-of-print Hobson's Choice (Greystone Press, 2002), and includes nearly two dozen new poems, and My Sideways Heart (Mongrel Empire Press, 2010). Several of Brown's collections have received honors, including Suffer the Little Voices and Two Tables Over (Village Books Press, 2008); the former was a finalist for the Oklahoma Center for the Book's Oklahoma Book Award in 2006; the latter won the award in 2009. His Not Exactly Job (Mongrel Empire Press, 2008), a 2008 Oklahoma Book Award finalist, contains poetry, photographs, and scripture. Brown's memoir, a combination of poetry and prose that pays homage to a close friend lost to cancer, is Letters to the One-Armed Poet: A Memoir of Friendship, Loss, and Buttered Squash Ravioli (Village Books Press, 2011). 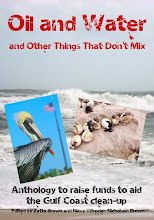 Everyday life treated with understanding and, where appropriate, a sense of humor finds prominence in Brown's precise, clearly written poetry — what Brown describes on his Website as "poems unafraid of making sense. . . poems that carry us to better places." (He is a critic of "impenetrable" poetry and "bad" academic poetry that "means absolutely nothing. . . even to the authors.") Reviewers and readers alike cite his "emotional honesty" and direct, unpretentious voice. Brown has published poems in a variety of literary publications, including Art Review, Blood and Thunder, The Blue Rock Review, Christian Ethics Today, Concho River Review, Oklahoma Today magazine, Sugar Mule Literary Magazine, and World Literature Today. His work also appears in the bi-lingual anthology Two Southwests (Virtual Artists Collective, 2008), representing 27 poets from the southwestern United States and southwestern China, and 8 Voices: Contemporary Poetry from the American Southwest (Baskerville Publishers, 2012). In addition to writing awards, including a Pushcart nomination for his poem "Little Jerusalems" (from My Sideways Heart), Brown has served as Artist-in-Residence at the University of Central Oklahoma. When he is not traveling or conducting workshops in poetry and creative writing in middle and high schools, universities, and community organizations of all kinds, Brown teaches professional writing at the University of Oklahoma in Norman. Nathan Brown Interview with Rhea Goodman at Living Juicy (mp3 Audio; 29:35 minutes), August 3, 2010. Brown talks about and draws a clear distinction between poetry writing and songwriting but says that in both instances he thinks about connection (with reader, with listener); with respect to poetry, he says what he's interested in is the "huge audience" that has "walked away" from poetry for whatever reason. His teaching, he explains, also is about making connections by "piecing together the right words so that they mean something to someone else." In the interview he performs several songs (from his CD Gypsy Moon) and also reads his poetry ("Leap Year", "Three of a Kind", "Threading Needles" from My Sideways Heart). He's an articulate singer and expressive reader. How is it far if you think of it? ✦ Renee Phillips introduced through her Healing Power of ART site (see feature article here) the work of New York City-based Nancy Azara, who shows her evocative sculpture (carved and painted wood with gold and silver leaf and encaustic) and lyrical collages throughout the United States and abroad. Such wonderful work merits more than a quick browse! In Minneapolis, Katherine Nash Gallery at the University of Minnesota is exhibiting Nash through February 23 in "The House We Built: Feminist Art Then and Now". ✦ Tim Knowles of the United Kingdom has produced a series of unique Tree Drawings by attaching drawing tools to tips of tree branches and recording on paper the wind's effects on the trees. Also notable are his Nightwalks and Full Moon Reflections. ✦ Drawing on the Japanese art forms of bonsai and suiseki (stone appreciation), Takanori Aiba creates elaborate fantastical sculptures of craft paper, plastic, plaster, acrylic resin, paint, and other materials. ✦ The Prison Arts Coalition, founded in 2008, is a national network providing information and resources about prison arts programs in the United States. The PAC represents a consortium of artists and arts organizations devoted to promoting arts in prisons and sharing information and resources about prison arts. Visual art, writing, audio, and video are featured in the Gallery section of the Website. ✦ In December and January, internationally known visual artist Ann Hamilton, a professor of art at The Ohio State University, installed at the Park Avenue Armory, New York City, the event of a thread (Roberta Smith's review here) which combines "readings, sound, and live events within a field of swings that together invite visitors to connect to the action of each other and the work itself, illuminating the experience of the singular and collective body." In the video interview below, taped on December 8, 2012, the artist speaks about her work with the Armory's artistic director Kristy Edmunds. Be sure to read Hamilton's own description of the installation at her Website. ✭ In New York City, Alexandre Gallery opens "Tom Uttech: New Paintings" on February 21. The exhibition of the contemporary landscape artist, who maintains that the "best response" to his work is to "go straight to the wildest piece of land you can find and sit down and let it wash over you and tell you secrets", will run through March 30. Images of Uttech's evocative, even mystical paintings (available through the gallery) may be viewed here. See additional work by the Wisconsin native at Tory Folliard Gallery in Milwaukee. Uttech also is a photographer; see images here of his digital inkjet prints. ✭ An exhibition of new work by Polish sculptor Monika Sosnowska opens today at Aspen Art Museum, Aspen, Colorado, and continues through April 21. In conjunction with the exhibition, the museum is publishing an illustrated book documenting some 10 years of exhibitions and including essays by curator Heidi Zuckerman Jacobson and Joseph Pulitzer Jr., professor of modern art at Harvard University. A conversation with the curator is planned for April 4. A 40-foot-tall steel sculpture, Fir Tree, by Sosnowska is on view for two more days in Manhattan. ✭ The Art Institute of Chicago continues through April 7 "We The People", its show of five sculptures by Vietnam-born and currently Berlin-based Danh Vo, part of the artist's project to reconstruct on a 1:1 scale individual elements of the Statue of Liberty that then will be shown at museums and other art venues around the world. Fragments by Vo also are installed at the Oriental Institute, Booth School of Business, and University of Chicago Law School. ✭ In Washington, D.C., the National Museum of Women in the Arts today opens "A World Apart: Anna Ancher and the Skagen Art Colony", which will continue through May 12. 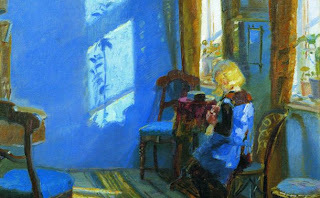 This is a comprehensive exhibition of the Danish painter's work, featuring more than 60 paintings by Ancher (1859-1935) and artists in her circle, part of the Impressionist movement at Skagen, a seaside community in northern Denmark that is home to numerous lighthouses dating to the 1600s. * Also translated at "Sunshine in the Blue Living Room"
✭ "Chagall: Beyond Color" puts paintings, sculpture, ceramics, and collage of the master on view at Dallas Museum of Art from February 17 to May 26. The exhibition also includes a display of costumes that Chagall made for the ballet Aleko, choreographed by Leonide Massine to music by Tchaikovsky. This is the first time since the ballet's inaugural performances that the costumes have been placed on exhibit in the United States. An illustrated catalogue accompanies the show, which is co-organized by La Piscine Museum, Roubaix, France (the exhibition was on view there from October 13, 2012, until January 13, 2013).